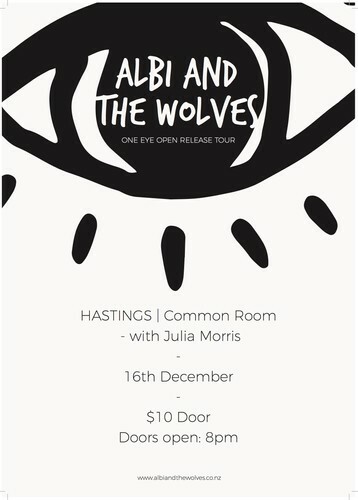 On December 16th Albi and The Wolves are hosting the hoedown of the year at The Common Room to celebrate the release of their Debut Album "One Eye Open" that is being released on December 9th. This is the second stop as they take on the entire country with performances at a variety of festivals, pubs and lounges and they are excited to do so as this is their first nationwide tour. Supporting them for this show is Hastings based Julia Morris who will get you in the right frame of mind to head on the Albi and The Wolves journey! Tickets will be available at the bar.